On Monday, the Red Stick Fly Fishers hold their monthly fly tying session at Bass Pro Shops in Denham Springs. Time is 7:00pm. Bring your tying tools, if none, the club has a few sets for use during the session. Materials are provided. Beginners are welcome. For more info, go to www.rsff.org. Also on Monday, the Kisatchie Fly Fishers hold their monthly general meeting at the Rapides Westside Library on 5214 Provine in Alexandria. Time is 6:30pm. Guest speaker will be Ricky Yeldell, retired LDWF Inland Fisheries Biologist for Toledo Bend who will give an update on the lake. 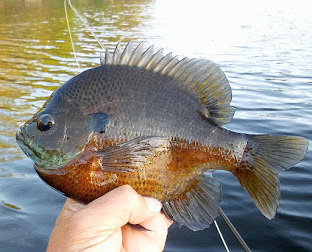 Also on the agenda: the club's Mixed Bag Contest and upcoming "March Brown" trip. Guests are welcome. For more info, go to www.kisatchiefly.org. On Wednesday, the Bayou Coast Kayak Fishing Club holds their quarterly meeting at The Backpacker on 6162 Jefferson Highway in Baton Rouge. Time is 6:00pm. On the agenda: the upcoming Paddlepalooza tournament, upcoming BCKFC series tournaments, Tackle Tips, and more. Guests are welcome. For more info, go to www.bckfc.org. On Friday evening, Pack and Paddle will hold their annual "Beer and Gear Social Night" at their store on 601 East Pinhook in Lafayette. Time is 5:00pm. Manufacturer reps, door prizes, and more. For more info, go to www.packpaddle.com. On Saturday, it's the Red Stick Fly Fishers annual "Red Stick Day". More on that later. Also on Saturday, Pack and Paddle will hold their annual Spring Demo Day at Vermillionville Pond in Lafayette. Time is 9:00am to 2:00pm. There is no cost. Try kayaks and stand-up paddleboards from Jackson, Hobie, Native, Bonafide and several others. For details, go to www.packpaddle.com. Also on Saturday, Masseys Outfitters of New Orleans will hold the first of their Spring Kayak Demo Days at Cabrini Bridge on Bayou St. John. Time is 10:00am to 3:00pm. Boats include models from Hobie, Jackson, Native, Bonafide and others. For more info, go to www.masseysoutfitters.com. Also on Saturday, Orvis of Baton Rouge will hold another of their "Fly Tying 101" sessions at their store on 7601 Bluebonnet. Time is 1:00pm. Orvis FT101 is a free, one-day, 2-hour hands-on clinic covering the basics of tying flies. Tools and materials are provided. Pre-registration is required as seats are limited. For more info, call 225-757-7286. On Sunday, Masseys of Baton Rouge will hold their first "Kayak Demo Day" at BREC Wampold Park on Stanford Avenue (University Lake). Time is 11:00am to 3:00pm. Boats include models from Jackson, Native, Bonafide and others (but not Hobie). For more info, go to www.masseysoutfitters.com. 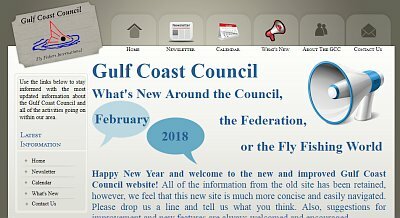 The largest annual fly fishing festival (conclave) in Louisiana takes place this Saturday, March 3rd. 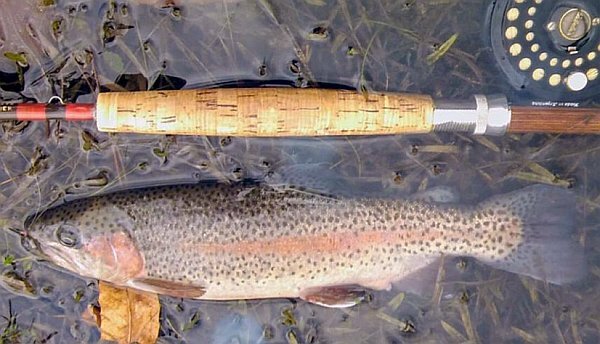 Hosted by Red Stick Fly Fishers, "Red Stick Day" activities include seminars, fly tying demos, casting clinics, vendors, raffles, food and more. Time is 8:30am to 3:30pm. Location is BREC Perkins Community Park in Baton Rouge. Typically the event is held at the LDWF Waddill Outdoor Education Center, but that facility was damaged by the flood of August, 2016, and repairs remain unfinished. However, like Waddill, Perkins Park has a stocked pond with good fishing. 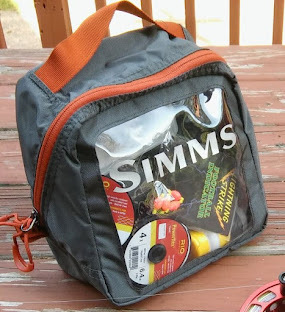 So attendees are encouraged to bring their tackle. RSD has a history of bringing in some great speakers, and this year is no different. Bill Laminack is quickly becoming one of the most respected fly tiers and warmwater anglers in the country. The Panama City resident will be a featured tier and also give a program on bass fishing. Other speakers include Eddie Mullen of Eddies Kayak Rentals in Pointe-aux-Chenes, Capt. Tristian Daire, saltwater fly fishing guide and owner of Olde Towne Fly Shop in Slidell, and Ben Roussel, Jackson Kayak pro-staffer and "Mountains to Marsh" blogger. RSFF member Roger del Rio, a longtime Fly Fishers International (FFI) Certified Casting Instructor (CCI) will conduct morning and afternoon casting clinics. Once again, the event will feature top tiers from Louisiana, Mississippi, Alabama and Florida. Proceeds from the raffle will go towards the club's conservation and education initiatives. For more info, go to www.rsff.org and click on "Red Stick Day". A much colder-than-normal winter has been offset by an unusual warm spell the last two weeks. The result? 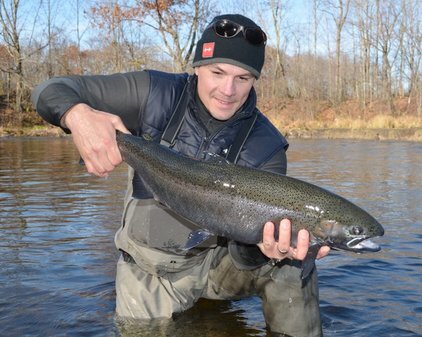 Plants are blossoming, green is returning to the landscape, and fish are biting! Surface water temperatures in the central parishes has gone from upper 40s to low 60s in just that short time. And while deeper water remains very cold, fish are venturing into shoreline areas where food organisms are active. The biggest obstacle has been strong winds, and in central and northeast Louisiana over 6 inches of rain the last two weeks. So finding clear water has been key. 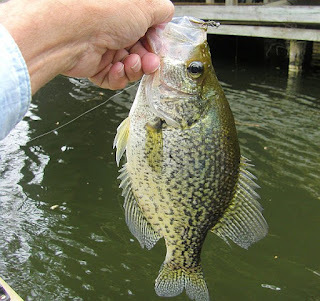 When clear water is found, crappie are bunching along shoreline structure or grass preparing to spawn. Fluff Butts, Silli Butts, Squirmy Butts, Crappie Candies, Death To Crappie, Coyotes and even weighted Seaducers are the ticket. 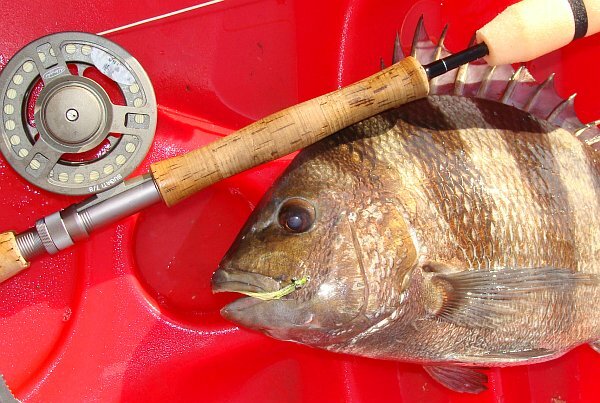 On the coast, limits of redfish are the rule rather than exception - when wind allows. But just this last week there were good catches of hefty speckled trout in interior lakes. One area that has been red hot - for reds and bass - has been Delacroix. Puddlers are reporting best results in pockets of cleaner water. This past Saturday was the 16th-ever Little Mo Fly Fishing Festival in Murfreesboro, Arkansas. Organized by Shreveport resident and Little Missouri River fly fishing guide, Jeff Guerin, it's a celebration of fly fishing with emphasis on the year-round tailwater trout fishery below nearby Greeson Lake. The event was well attended with many of the "usual suspects" - as Jeff calls them - present. In fact, it seemed the rough weather played less a role in limiting attendance than did the current epidemic of cold and flu. For Louisiana trout enthusiasts in northern and western parishes, the Little Missouri River is our closest year-round trout water, only 2.5 hours north of Shreveport in the Ouachita Mountains. For that reason, the highlight of this event for us - and for all who fish the Little Mo - is the annual "State of the River" presentation. Arkansas Game and Fish Commission biologist Kris Nault shared statistics and catch reports, and pointed out that, because of the flooding of the Spring River hatchery, stocking numbers would be down 25 percent this year. But to compensate, the average size would be slightly up. Since last October, the generators on the dam have been under renovation. During this time, there has been no generation. Normally when there is no generation, there is a very small release of water, referred to as leakage amount. However, the Corps has been releasing much more than the leakage amount. This "minimum flow" is about 6-8 inches higher than normal. It has had a profound effect upon the river. Nearly all the shallow rocks are covered, there's flow across the river, the trout are spread out all over, and there's more bugs for this time of year than many of us have ever seen. The trout are strong, and rich in colors. Work on the turbines will continue until April or May, during which time minimum flow will continue. It has revived the conversation of minimum flow on the tailwater. Even half of what is now being released would be a great improvement over the trickle and would result in an additional mile of trout water during late summer - in addition to the benefits already witnessed in this "trial run". It may take an act of Congress (literally) for it to happen, but given what has happened on the White and Lower Mountain Fork rivers, there is hope. I received some sad news while on my fishing excursion to Arkansas the past week. 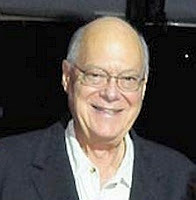 Last Wednesday, Maumus Claverie Jr, a.k.a, "Timau" Claverie - a giant in marine conservation - passed away at the age of 82. Timau had a distinguished career as an attorney, and equally important, as a tireless conservationist. For decades he served with the Coastal Conservation Association (CCA), Billfish Foundation, IGFA Board of Directors, New Orleans Big Game Fishing Club, and FFI Gulf Coast Council, to name just a few. He also served on the Gulf of Mexico Fishery Management Council, the National Marine Fisheries Service's Advisory Committee for Highly Migratory Species, and on the U.S. Advisory Committee for the Conservation of Atlantic Tunas. Recently, Timau was honored with the Billfish Foundation's Rybovich Lifetime Conservation Award. Timau was also an avid fly fisherman and an active member of the New Orleans Fly Fishers. An excellent fly tier, his obituary stated that he was tying flies the day before his passing. Timau and I served for many years on the CCA-Louisiana Science Committee, of which he was chairman. I recall the early days of those meetings. Perhaps it was his experience as a lawyer, or his quick wit and sharp mind, but we were all glad he was on our side in the preservation of coastal resources. Whatever argument was thrown our direction, in terms of allowing antiquated fishing practices to continue, he would crush them in a few sentences. Our prayers and wishes are for him and his family. He will be sorely missed. 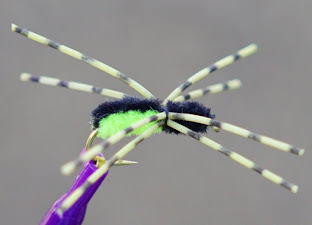 On Tuesday, the Kisatchie Fly Fishers hold their monthly fly tying session at the Rapides Westside Library in Alexandria. Time is 6:30pm. This month's pattern will be the Gurgler. Bring your tools, if none, the club has a few sets for use during the session. Materials are provided. Beginners and public are welcome. For more info, go to www.kisatchiefly.org. Also on Thursday, Pack and Paddle will host a seminar "Secrets of Successful Kayak Anglers" featuring two-time world champion Steve Lessard and Hobie Angler of the Year Brendan Bayard. Time is 6:00pm. There is no cost. For more info, go to www.packpaddle.com. On Friday, Orvis of Baton Rouge will host the 2018 Fly Fishing Film Tour at their store on 7610 Bluebonnet in Perkins-Rowe. Time is 7:00pm. Tickets are limited, so check with the store prior to the film showing to find out if tickets are still available. Call 225-7286. For a list of films to be shown, go to www.flyfishingfilmtour.com. On Saturday, Orvis BR will hold another of their "Fly Tying 101" classes at their store in Perkins-Rowe. Time is 1:00pm. 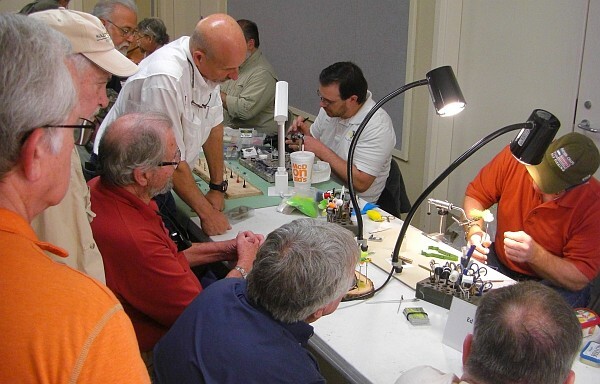 FT101 is a free, one-day, 2-hour hands-on clinic covering the basics of fly tying. Materials and tools are provided. Class size limited, so pre-registration is required. Call 225-757-7286 for more info. Also on Saturday, it's the annual Fly Fish Texas at the Texas Freshwater Fisheries Center in Athens, Texas. Time is 8:30am to 4:00pm. All Fly Fish Texas activities are free with regular paid admission to the center. For a complete list of activities, go to www.tpwd.state.tx.us and click on the "Fly Fish Texas" link. 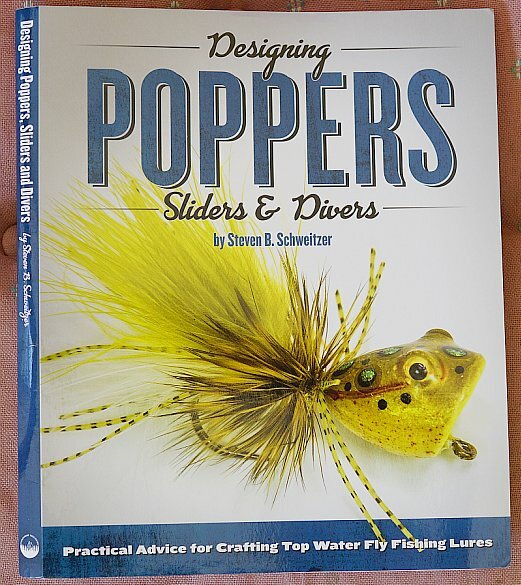 Last week, "Designing Poppers" made it's way into a number of bookstores and online retailers such as Amazon. In fact, at the Atlanta Fly Fishing Show I picked up one of the first copies. The folks at Angling Bookstore had just received a shipment before the show, and within the first hour of the first day had sold most of their copies. By 10 o'clock that morning they had none left! It's seldom that a fly tying book gets so much pre-publication hype, much less become an instant classic once it hits the shelves. But after spending a week going over this new book by Steven Schweitzer, my conclusion is... it lives up to the hype! The publisher of Designing Poppers says this: (it's) the most comprehensive book ever written for the topwater lure maker. Three-hundred pages are full of methods, procedures, and examples richly illustrated with 800 detailed full color photographs. Over 50 tips & how-tos and DIY projects are included. Also included are common design elements and step-by-step instructions for 17 of the most effective patterns. Everything the publisher states is accurate. There are also over a dozen charts comparing different material aspects, including hooks, pen marker types and colors, coating types, Copic color patterns and much more. To my surprise the book also included, at the end of each chapter, a gallery of flies by featured artisans. Two of the featured tiers are Louisiana's own Kirk Dietrich and Ron Braud. Congratulations to both! Several times I tried testing the book to see if there was some topic or item it could've missed, and so far, it's covered them all. Granted, a few could've had a bit more information or detail. But given the scope of this book, and the enormous amount of subject matter, Schweitzer did an amazing job of gathering information, collecting detailed photographs, and covering so many topics. The book comes in binder form for easier access to pages at the tying desk. It sells for $44.95. Designing Poppers is worth every penny! Rating 4.9 out of 5.